As you know that most of time i am sharing lots of Gmail tips here and few days later we mention about a free addon Kloudless which allows you to download Gmail Attachment to Google Drive, Dropbox & Box. With that guide you can manually save all your Gmail Inbox Attachment on your favorite cloud services account. With this way you can free up some space from your Gmail account and will not receive warning message on your inbox that your Gmail Account is full . But today i found the new Google chrome addon called Gmail Attachments to GDrive AutoSync, the free chrome addon allows you to save all your new and old GMail attachment on your Google drive automatically. After that Every new mail with an attachment should appear in your Gmail Attachment folder on your Google drive account, a nice and simple way to auto save all your Gmail attachment on your Google drive account. The addon is free to use and only available for Google chrome users. All you hvae to install this addon one time and you can sync all your past and upcoming Gmail attachments to GDrive. You can download this addon from the Google web store can find the Download of the Chrome addon at the end of this post. Step 1. Download and install the Google Chrome addon Gmail Attachments to GDrive AutoSync on your Google Chrome browser. Step 2. Once the addon is installed on your browser, you have to authorize the addon with your Gmail account so that it can autosync all your Gmail attachment to your Google drive account. Step 4. 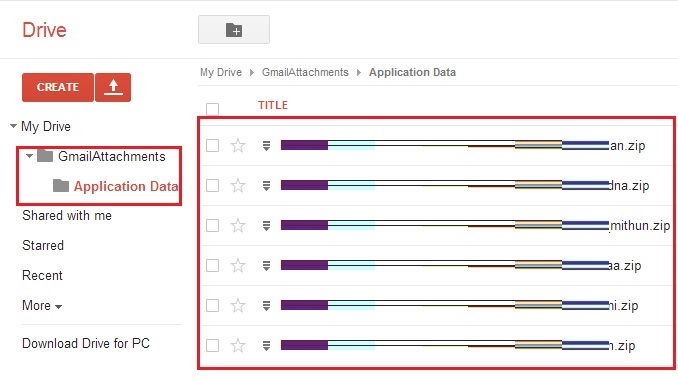 To start the auto sync process on your Gmail account click the GDrive AutoSync icon and select the years of Gmail attachments you want in your Drive or you can select all Gmail attachment form your Gmail inbox. 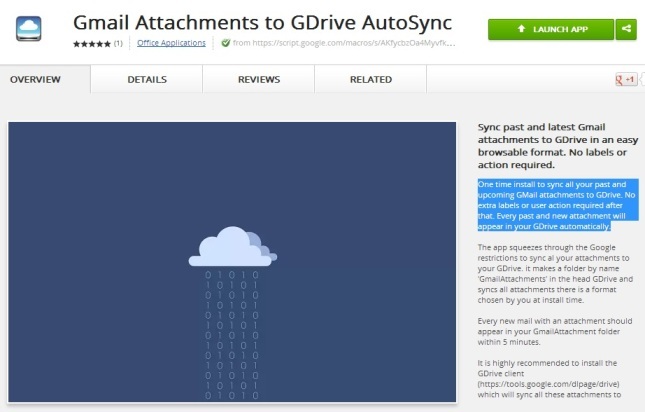 That’s it, now wait for few minutes to autosync all your new and old Gmail attachment on your Google Drive account. After few minutes you can see all you Gmail attachment on your Google Drive account, form here you can view your Gmail attachment and download it them n your desktop. So next time when you receive any Gmail mail with attachment on your mail box it automatically saved on your Google drive account. One of the best and simple Google chrome addon to sync all your attachments to your GDrive. Looking for more Google Chrome guides and tips, click here!